The time periods we give here assume that you’ll be studying for about 10-15 hours per week. That might seem like a lot of time to add onto your already demanding schedule, but it’s necessary to get a great LSAT score. If you need a reminder of why your LSAT score is important, I’ll refer you to our LSAT Scores Guide. One look at the LSAT score percentile rankings for the top 100 U.S. law schools and you’ll understand why LSAT prep is so important for law school admission. If you’re able to put in about 20 hours of practice week, you could throw together an LSAT crash course that includes 5 full-length practice tests (taking advantage of true timed conditions). On day 1, take a full-length practice test and then score it and log your errors. Check out our blog post about how long the LSAT is to get a feel for how much time you’ll be spending on the practice test. Every week (Monday-Friday), complete two timed sections of a practice test (including Writing Samples), so that you’ve completed two more full practice tests by the end of Friday. Always score these sections, record errors, and work through any questions you missed immediately after taking the section. That means you’ll be spending about two hours per weekday on LSAT preparation. On Saturday, take another full-length, timed practice test, and then score it and review any missed questions. Finally, on Sunday, spend the day looking through your error log, finding any weaknesses, and devoting the day to untimed practice for areas where you need more work. Then, rinse and repeat until the end of the month. This is definitely a crash course. You won’t have time to fully address every question type on the exam, and more importantly, you won’t be giving yourself enough time to let the material sink in. Acing the LSAT is all about adjusting to a new way of thinking, and that’s better done in moderate doses over a long period of time than in one frenetic month of cramming. So, with that in mind, let’s look at some other possibilities. Studying for the LSAT should really take at least two months (or about 100 total hours of studying). Any less than that, and you probably won’t get the practice you’ll need to get through the concepts tested. 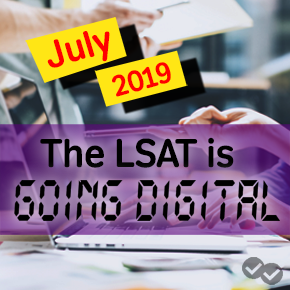 “Getting through” the concepts here doesn’t necessarily mean full understanding—eight or nine weeks is not a long time, so while you’ll be able to familiarize yourself with the content, you won’t necessarily become an LSAT expert. The two month plan can actually be identical to the one month crash course, but you can space out your practice in smaller doses, or you can devote a day between all timed sections to reviewing errors, spotting weaknesses, and doing untimed practice that focuses on specific question types. Alternatively, you could do an intense two month plan that follows the crash course model (roughly 200 hours of studying), but involves 10 full-length, timed practice tests and another 20 practice tests broken up throughout the week. This intensive study plan is approaching the ideal amount of preparation for the LSAT, but it’s a fast-paced way to do it and can definitely get tiring, which is something that can ultimately prevent you from maximizing your potential on test day. Keep in mind that the minimum is exactly that—if you only put in the minimum amount of time, you can only anticipate seeing minimum returns on your investment. For those of you looking for serious score increases, you’ll want to free up more time in your schedule to commit to the test. We recommend that you study for anywhere from 3-6 months for the LSAT (150-300 total hours of studying). In fact, we’ll start you off on the right foot by giving you a three month LSAT study schedule to start working off of! Why? This amount of time really gives your brain the chance to make all of the connections needed for optimal LSAT performance. Most college classes don’t teach you how to solve logical reasoning questions or logic games, so this will all be new material. Focusing on the LSAT over a sustained period of several months will unlock the tips and tricks to higher test-day performance on your LSAT test date. Learn how to study for the LSAT by checking out our LSAT Study Guide here. The organization of a 3-6 month study plan could still follow the overall organization of the crash course: take a full-length, timed test. Follow it up with 2-3 more practice tests that you break up into individual timed sections, doing one or two per day and taking time to score them, log your errors, and review missed questions. In between timed sections, commit some time to reviewing individual question types that are causing you difficulty, and practice a bunch of them untimed. Finally, take another full-length, timed practice test and follow it up with a whole day to review errors and identify your strengths, weaknesses, and goals for the next batch of timed sections and untimed practice. Your study plan probably shouldn’t be longer than 6 months or 500 total hours of studying time. Why? There are only so many prep tests that LSAC has released, and only so many real LSAT questions you can use to practice with. Drawing out your study schedule will water down the amount of high-quality test prep material available to you. The Magoosh LSAT course does feature some extra practice questions that can provide you with some targeted practice by question type. However, we recommend using these in an untimed setting to expose yourself to question types that you know you need to practice more. That way, you don’t have to burn through your precious Official LSAT PrepTests just to get some Assumption or Parallel Reasoning practice. Now you know that the ideal amount of study time would be about 150-300 hours over 3-6 months. This range allows you to devote yourself to your LSAT prep, learn from your mistakes, gain the skills you’ll need to succeed on the test, and maintain the test-taking endurance that’s required to survive test day. 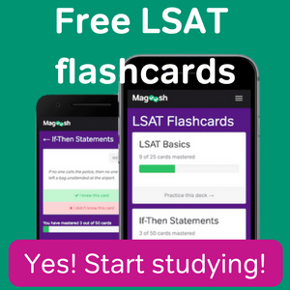 It also gives you time to take an LSAT prep course, such as the one offered by Magoosh, review LSAT prep books, and use a realistic study schedule. Of course, you can modify your study timeline based on the number of hours you can commit per week—for example, if you can only study for 5 hours per week, you may need to add more weeks on to your total schedule. But in general, condensing your study plan can increase your motivation, since there’s more reason to get serious about studying when you know the deadline is approaching. Furthermore, it’ll be easier to keep sight of your goals when there’s an end in sight. All that said, deciding how long to study for the LSAT depends on your personal schedule and study habits, and you know those best! Let us know in the comments if another study plan worked well for you! P.S. Before you get started, be sure to check out our video below on how to study effectively!